Henrietta Bingham rode the cultural cusp as a muse to the Bloomsbury group, the daughter of the ambassador to England during the rise of Nazism, the seductress of royalty and athletic champions, and a pre-Stonewall figure who never buckled to convention. But her great niece, biographer and historian Emily Bingham, knew none of that growing up. The secret of who her great-aunt was, and just why her story was buried for so long led to the award-winning Irrespressible. 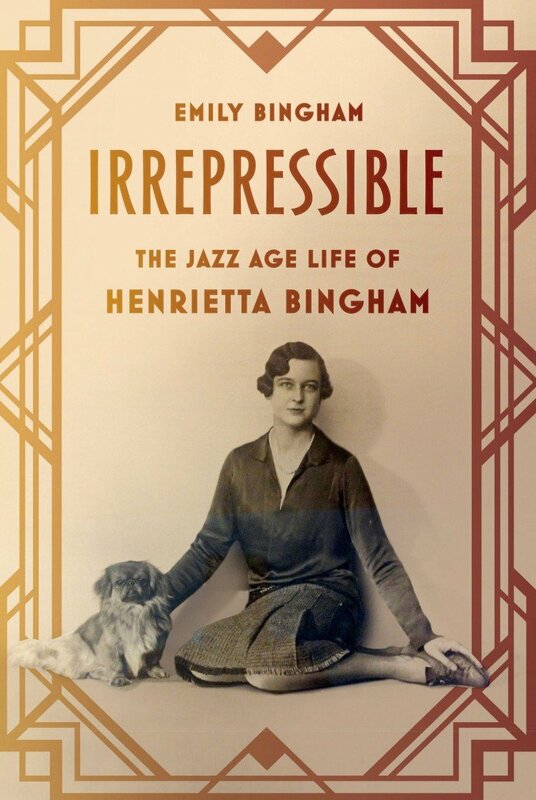 Irrepressible is the absorbing, deeply moving, and brilliantly researched story of an intoxicating woman whose personal life was as turbulent as the times she lived in: Henrietta Bingham dazzles the reader as she dazzled the artists, writers, and musicians around her in the Jazz Age and beyond.